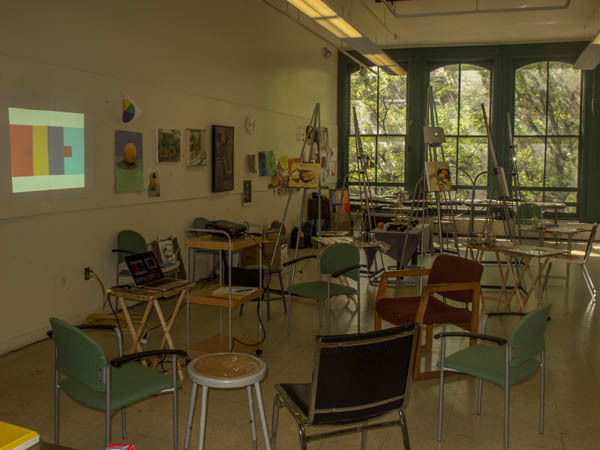 The Painting Room at the Art Center of the Capital Region, set up for my summer color workshop. Learn how to see like an artist and gain confidence expressing yourself on paper. Complete beginners or artists with some experience can work at an individual pace within a structured format. Explore proportion, perspective, and working with line and tone, plus some fun exercises to shift you into the creative right side of your brain. All techniques are demonstrated, and presentations of artwork inform and inspire. All materials included. A more in depth study of fundamental drawing skills with a wider variety of subject matter, exploring composition and deeper expression. The course includes an introduction to portraiture and figure drawing, working from a clothed model. All materials and model covered in studio cost. NO CLASS 11/23. A creative approach to color theory with a focus on adding richness and vitality to your paintings. This all-levels class is appropriate for complete beginners or experienced painters who would like to deepen their understanding of color. 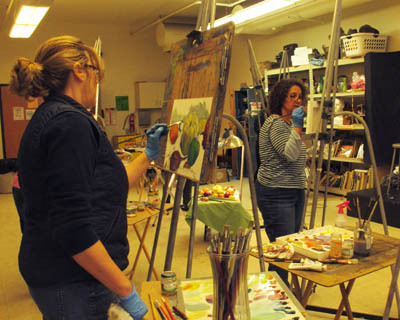 Demonstrations and presentations, as well as hands on experience teach students reliable color mixing and use of color to express form, light, and mood. Students may choose oil or acrylic. A turpentine-free class. You may bring brushes or buy in class the first day. Studio fee covers paints and other materials. 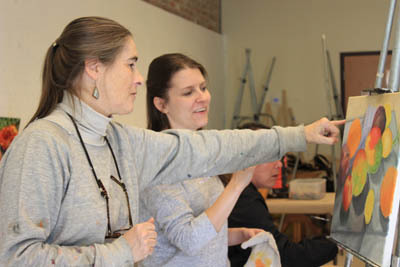 Explore painting inspiration and creative problem solving, while working toward your own personal style as an artist. Well address individual concerns related to independent projects, attuned to each students level. Students may choose oil or acrylic. A turpentine-free class. Students should bring paints and brushes, materials fee covers other supplies. Prerequisite: Painting Color, or by permission of instructor. Marion Reynolds received a BA in studio art from Middlebury College, and an MFA in painting from Queens College CUNY. She also studied at the Center for Art Safety in NYC. 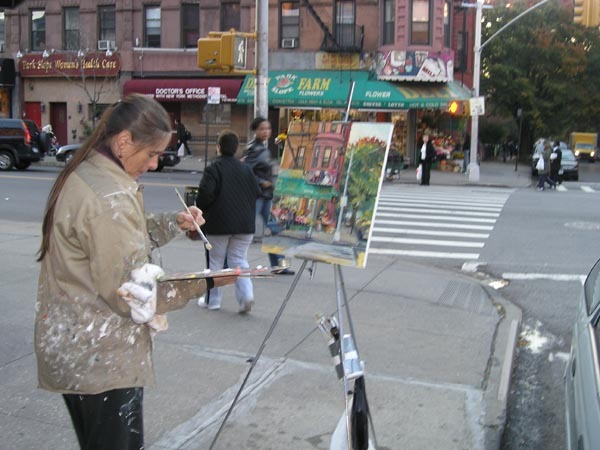 She has taught art for 15 years at McGuffey Art Center in Charlottesville Virginia, The Douglass Street Artspace in Brooklyn, NY, and as a graduate teaching assistant at Queens College.